The Alan Healy Memorial Rally gets Cadwell Park's 2019 season underway this weekend (7 April) ahead of a busy calendar of events that includes the signature Bennetts British Superbike Championship summer spectacular plus a major modified car show, classic and historic racing, club-level events and more! Numerous race series and championships on two and four wheels will pack the Cadwell Park calendar until mid-November. One of the most popular events is Modified Live, which will see a host of extensively tuned vehicles descend upon the venue on Early May Bank Holiday (Monday 6 May), headlined by the UK Time Attack Championship and demos for drift and Formula 1 cars. 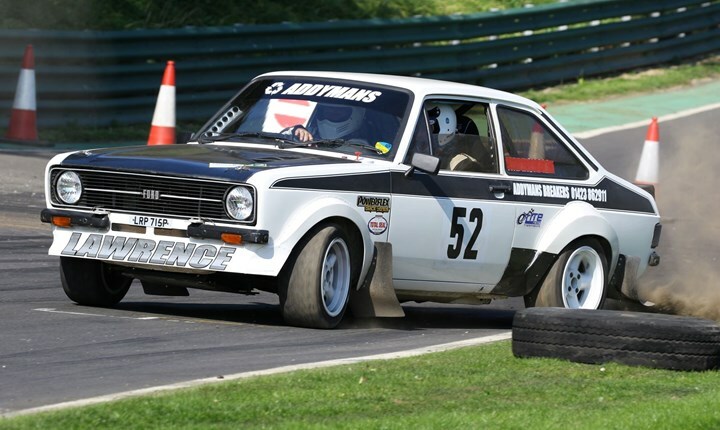 Cadwell Park will also host several retro events throughout the year, with the Historic Sports Car Club's Wolds Trophy celebrating some of motorsport's golden eras on 15/16 June, and the Vintage Sports Car Club returning to headline the popular Vintage Motorsport Festival on Saturday 27 July. There are events to celebrate the circuit's rich two-wheel history too, with appearances from the Classic Racing Motorcycle Club on 8/9 June and the Vintage Motorcycle Club on 28/29 September. Making a welcome return is the International Sidecar Revival on 22/23 June after a successful debut in 2018, bringing a thrilling combination of modern and classic machinery to Cadwell Park and some big stars from the sport's past. Meanwhile, the Bennetts British Superbike Championship's annual 'Party in the Park', the best-attended round on the calendar, will see tens of thousands of bike fans descend on the venue on 16/18 August to watch some of the country's best-known racers take on the circuit's unique challenges. Abilities will be pushed to the limit with riders often seen getting completely airborne over the iconic Cadwell 'Mountain' - a sight not to be missed! Circuit rally action returns for the season-ending Stage Rally and Fireworks on Sunday 17 November, when an assortment of rally vehicles attempt to conquer a number of unique special stages, competing into the darkness. With headlights ablaze and brakes aglow, watching rallying into the night is a real season highlight. And as the racing comes to an end, all eyes turn to the skies for an epic fireworks display to draw the season to a close. During the winter, the Lincolnshire Wolds circuit benefitted from a range of improvements including the installation of new FIA-spec kerbs at the Mountain and a fresh new look to the circuit reception, aimed at bringing spectators and race fans closer to Cadwell Park's rich heritage. The venue will be in its best condition ever as it opens its doors to race fans once more! Tickets for this season's events start from as little as £12 and children under 13 are always free when accompanied by an adult. Cadwell Park's headline events are listed below. For full information on all events and to buy advance discounted tickets, visit the Cadwell Park website at www.cadwellpark.co.uk or call 0843 453 9000.